I do not recommend castor oil for internal use, but for external use it has wonderful healing benefits! Castor oil applied topically in the form of a "castor oil pack" was talked about much by the late psychic healer Edgar Cayce, and then re-popularized by the primary care physician, William McGarey, author of The Oil That Heals: A Physician's Successes With Castor Oil Treatments . According to a double-blind study titled the "Immunomodulation through Castor Oil Packs", published in the 1997 Journal of Naturopathic Medicine in a report by Harvey Grady, castor oil applied topically was found to enhance immunologic function. This study revealed that a castor oil pack therapy of a minimal two-hour duration produced an increase in the number of T-11 cells and during the following 24 hour period, there was an increase in the total number of lymphocytes. Waste and toxin build up is removed through your lymphatic system, so if this system gets congested, it can lead to inflammation and disease. As the castor oil pack is applied, this increase in the action of the lymphatic cells helps to reduce congestion and increase lymphocyte production, thereby increasing healing and toxin removal from the affected area. 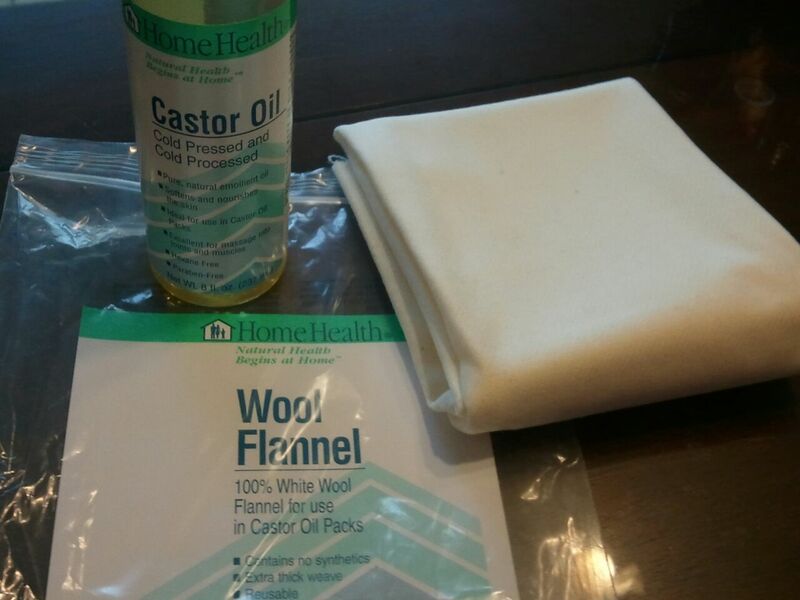 Soak the flannel entirely in castor oil (you want it wet, but not dripping with oil.) This can be done in a pan or dish able to contain both the flannel and castor oil. Next, apply the layered flannel to the area that needs treatment. Cover flannel with plastic wrap or a plastic bag. Begin to apply heat to area, start on low and work up to medium; keep heat at a comfortable setting- do not allow it to burn the skin. Use during pregnancy is not recommended except while under the care of your physician.